I designed this piece to highlight two distinct yarns for Rosie's Yarn Cellar: a solid fuzzy mohair blend and a self-striping wool. 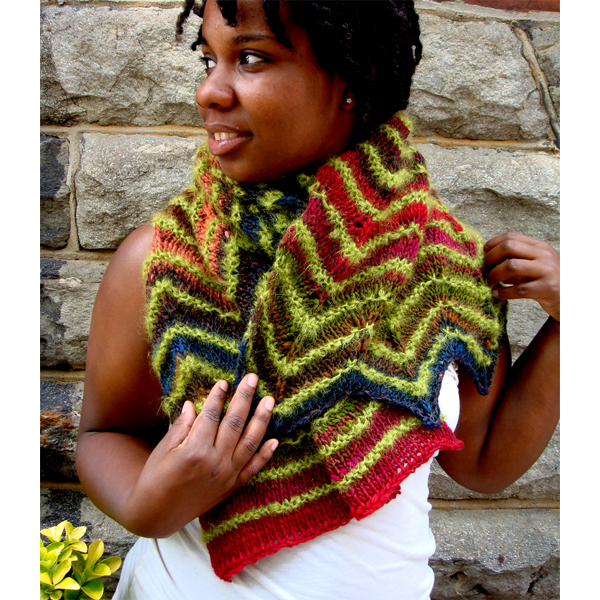 I took up the challenge with variations on the traditional chevron pattern such as the non-symmetrical ends. 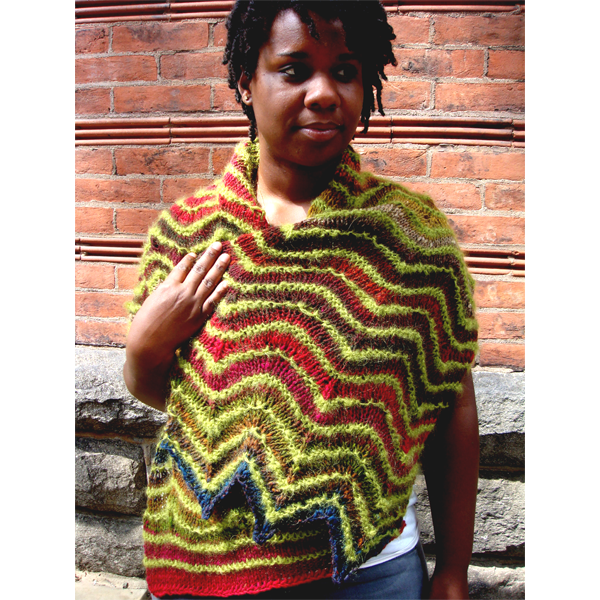 The Caterpillar Stole pattern is available as a free download.